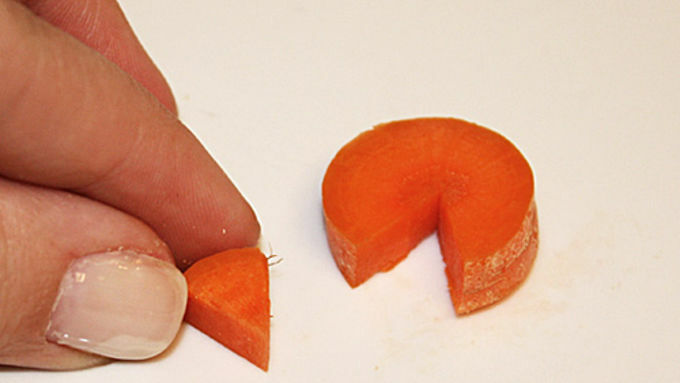 Start by slicing a carrot to create a small, round circle. Cut out a small “slice” from the carrot round and set aside. 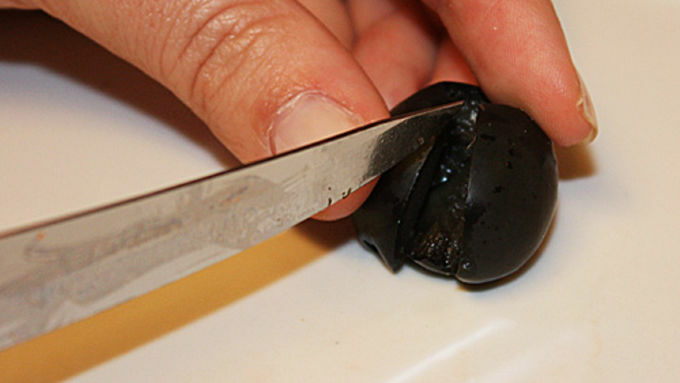 Using a large pitted black olive and a knife, slice from top to bottom to open the olive up. Use a small spoon or teaspoon scoop to fill the inside of the black olive with slightly softened cream cheese. Try using a cheese knife to smooth out the cream cheese and a napkin to clean off the black olive. 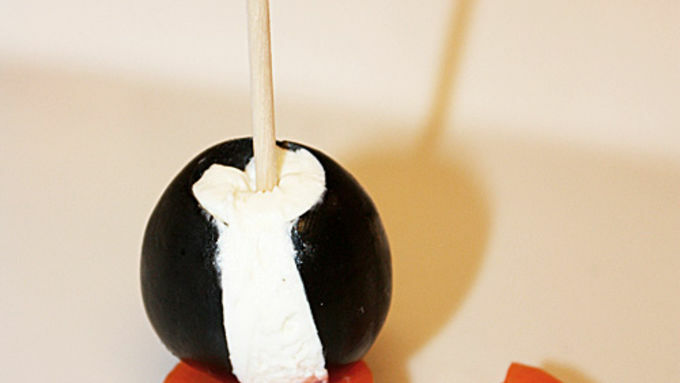 Place the cream cheese-filled black olive on top of the carrot round and use a toothpick down the center to secure. Place the small carrot slice (from step 1) into the hole of a small pitted black olive. Slide the small black olive onto the toothpick to finish your penguin! 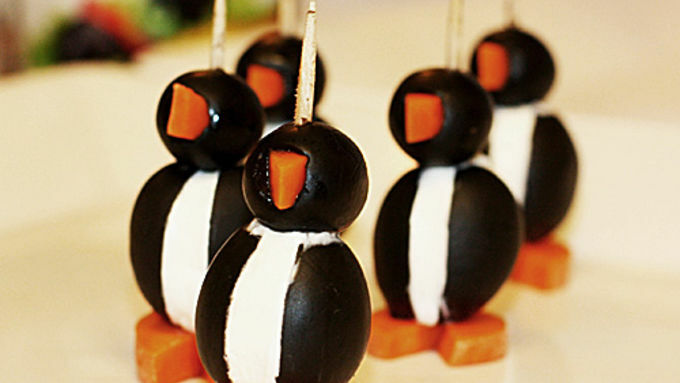 Why not celebrate winter by whipping up some super-cute penguin appetizers! 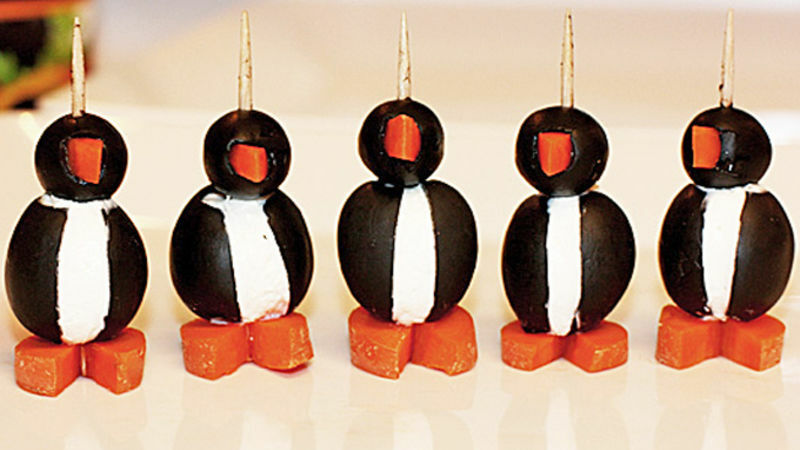 Both delicious and easy to make, this Penguin Appetizer recipe brings the best out of three simple ingredients: olives, carrots, and cream cheese. So whip up a batch of these cuties the next time you throw a party. Now that you have the perfect penguin appetizer, it's time to think about other party elements for a black + white penguin themed party! First off, encourage guests to don their favorite black and white attire for the evening and set up your "party table" in—you got it—black and white! A black tablecloth with white napkins and white serving dishes will do the trick. Next, decorate with white and black paper lanterns or ribbon hung from a chandelier or light fixture. "Ice" things up with touches of light blue to represent the chilly Arctic air! Give simple white or black party cups some flair with penguin stickers. Stickers are also a great idea for the kids. You can even print off pictures of penguins for the kids to color! These make great party favors.